I made it today...Yummmm...but my bf (Aussie) said...taste like cake more...may be next time i need to bake more than 15 mins. on the other hand, do you have any recipes for butter cookie? cos i like butter cookie more than chocolate. Thank you so much for this receipe. It has such a rich chocolate taste. My family loves it. Most of all, this recipe is so easy to make. I tried other recipes but none of them is as easy and simple as yours. Love it! Will do some day when I'm free. Thanks for your patience. Thanks so much for letting me know that your family loves them. is self-raising flourthe same as baking power? No, self-raising flour and baking power are two different things. 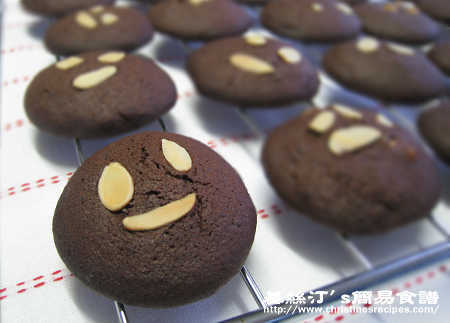 hello,I try to make the cookies now, but I found the chinese and english are little bit different ,want to make sure which kind of sugar is. 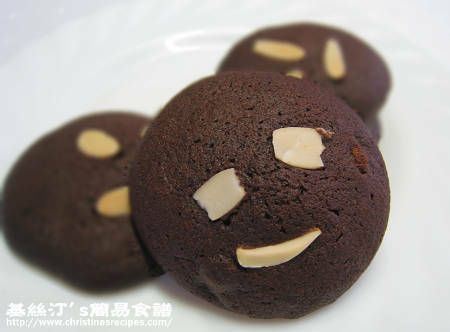 I read you ingerdent,is 黑糖=brown sugar? then how about the black sugar is? ?which sugar should I use? 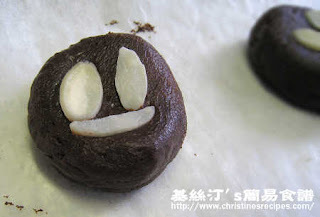 actually I thought 黑糖= brown sugar too,so I buy it follow the chinese name,but when I go home,I found that the English name is black sugar,and I double check ,brown sugar =黃糖 .......二德惠 really make me confuse. You're right. The Chinese translations are very confusing, different names on different packets. You just spot the raw sugar with the brown colour you want, then get it. 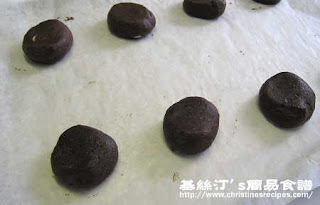 自发粉跟 baking powder 有什么分别啊？一茶匙的自发粉相等于多少茶匙的baking powder ? Hai, may i know this recipe need to use blender? or just fold in only? Just use a spatula to fold in the ingredients because you don't want the batter turns hard. hi there. wanna ask is it still okay if i use cookie cutter for the dough after chilling it? or i can only use spoons to roll into small balls and flatten?? Simply spoon out some to roll into small balls, then flatten.